Emerald Harvest honey chome is made from quality ingredients blended for sweet success in your garden. This aroma and resin enricher delivers a nutritional boost to your high-yield crops. The formulation also contains carbohydrates derived from natural sources that will nourish beneficial microbes in the root zone. Intensify your fragrance and flavour and enjoy your sweet success in your plants with this Emerald Harvest Honey Chome. This aroma and resin enricher made from high-quality ingredients, is designed specially to enrich your valuable crops with a robust bouquet and resins during the flowering phase. With the extra N, P and K in the bottle, not only does it encourage crop potency and productivity for vigorous growth and fruiting but it also helps plants reach their maximum genetic potential and achieve plentiful harvests with proper nutrition. This resin enricher also contains carbohydrates derived from natural, earth-friendly sources such as palm sugar and agave nectar – a reserve of energy and sweetness in the upper plant. Microbial inoculants in turn, assist your plants in plumping up root mass, resulting in greater nutrient uptake for a more satisfyingly abundant growth and flowering while also nourishing beneficial microbes in the root zone. 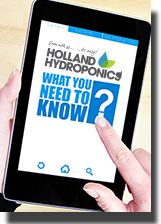 Application: diluted and added to mix or reservoir at the rate of 1.0ML – 2.0ML DEPENDING ON WHAT GROW STAGE YOUR IN.